We want you to bake a pie! 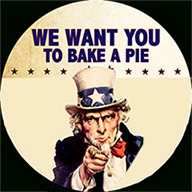 Join us on the Fourth at the tasting room for a pie baking contest, any type you want to enter. There will be prizes! To enter contact the tasting room. You supply the pie, we will supply the picnic, music, and ambience. $20 includes a glass of wine. ($15 for wine club members). All pie bakers are free as well as children under 12. 4-7 PM: Join us for a special night celebrating local author R. Lawson Gamble. He’ll be reading from his new book, Zaca, the third in the series featuring FBI Agent Zack Tolliver. “A pleasant junket to California’s beautiful Central Coast turns into a case involving drug smuggling, rival cartels, murder, and an old enemy. The clues begin to add up, the victims pile up, the mystery grows ever deeper, and the danger more imminent.” No Charge. 2010 was a great year for reds. We have just released the 2010 Grenache, Syrah and Cabernet Franc – all aged to perfection! 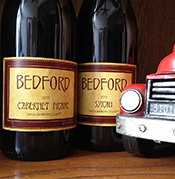 You are currently browsing the Bedford Winery blog archives for June, 2015.